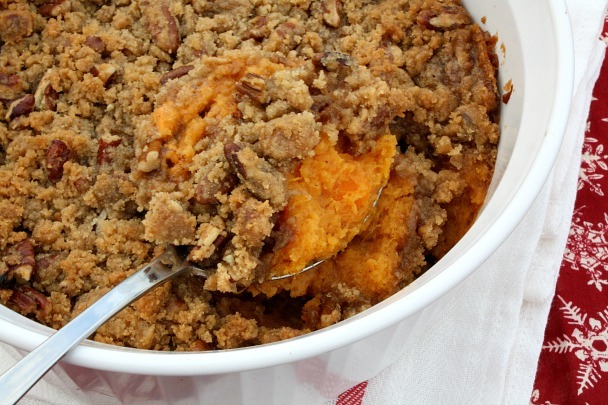 A delicious whipped sweet potato casserole with a crunchy cinnamon-pecan topping. Well October has passed and November is here. You know what that means...... It's time to start thinking about Thanksgiving. Fall is my favorite time of the year, the changing of the leaves, the cooler temperatures, pumpkins, apples and so much more. Fall also brings all of my favorite holiday treats pumpkin bread, pecan pie and my mothers fresh apple cake. Oh how I love the foods of the holiday season. Thanksgiving is my favorite food holiday because it's the one time of the year that I get to quality time with family and friends and enjoy all of our favorite fall dishes. I look so forward to planning our big thanksgiving dinner with my mother in law. We get so excited about all the dishes that we'll be preparing together. Mom has her favorites and I have mine. Combined we can throw together one awesome Thanksgiving dinner. Everyone has their one holiday dish that they look forward to every year. You know the one dish you cant wait to dig into when it's placed on the table. Well for me it's my favorite Sweet Potato Casserole! Fresh whipped sweet potatoes made with sugar, sweet milk, butter, eggs, spices and topped off with a crunchy cinnamon-pecan topping. Oh goodness there's nothing better. I know that you probably have your own favorite sweet potato casserole recipe, but I hope you'll give this recipe a try. Prick the sweet potatoes all over with a fork. Microwave on high for 8 to 10 minutes or until tender, turning the potatoes once. Blend everything together with a mixer until smooth. Pour sweet potato mixture into a greased 8 x 4 round or 8 x 8 square inch baking dish. Set aside and prepare topping. Cook's Note: A crunchy Rice Krispies topping can also be made. Add 1 cup brown sugar, 1/2 cup butter, 1 1/2 cups rice Krispies cereal, and 1 - cup chopped pecans. Mix all of the ingredients together and use in place of the crunchy topping above. I would love to win a turkey, last year we went out to eat and my children were not very happy with it. So this year it will be a traditional Thanksgiving for us, they are really looking forward to it. What a great giveaway, Tina! I also LOVE Sweet Potato Casserole (w/pecan topping, sans marshmallows). But, I have to say, I have been making my turkey in a brown paper bag and it comes out perfect every time! So, it's a tie....I love the sweet potatoes but it wouldn't be Turkey day without a turkey! Hiya;) Love your site. I visit it daily. I love LOVE love Sweet Potato casserole but I've never done it the way you posted. I am going to have to give it a try. I think so far, my fav (and my family's fav) recipe from here is the No Peek Beef Tips. To get everyone to eat the same thing for a meal is almost unheard of in this house. So thank you for that! My husband's family always had a HUGE gathering but over the years some have passed on and others have gotten married or moved and the group has grown smaller. However, one constant is a dish called "Honeymoon Salad". Not really a salad but more of a dessert, but we always have it every holiday! Sweet potato casserole is my favorite.... and I love the turkey and I love the mashed potatoes-- OK I love Thanksgiving except I don't like the succotash. My favorite memories are from when I was little and I would just be dying to eat. I would run in the kitchen and try to pick at everything and my mom telling me that it wont be much longer. There is always just a festive air about Thanksgiving day and then the guys playing football in the backyard after we eat. On our table this year will be your sweet potatoe casserole. Sounds awesome. Do you think it would turn out if I used canned sweet potatoes? Have a wonderfull day Tina! This would be wonderful to win. Thanks for the chance. the simplest cornbread dressing is my favorite...jiffy cornbread, prepared as instructions dictate, mixed with cream of chicken, boiled shredded chicken, garlic and onion powder and celery seed...of course you need salt and cayenne. Bake and serve with gravy AND cranberry sauce. cut one package of bacon in half across the short ways, to make double the slices. Rub with brown sugar, place four to five canned green beans on one end and roll up, securing with a toothpick...continue until all bacon ad all green beans are done. Place on a cookie sheet and drizzle with pancake syrup and bake until crispy and candied...sooo good. My favorite dish is the stuffing. I love carbs and it is perfect. Get a little of the cranberry sauce on the fork with it MMMMMM. My mother always made a traditional Thanksgiving dinner up until the year 2000. She suffered a massive stroke that summer that almost claimed her life. After 2 months of being hospitalized and extensive physical therapy, she was sent home. The stroke affected her memory, she could no longer talk, and had limited use of her right side. So she could no longer cook. She had problems remembering things and people. That Thanksgiving was my first attempt to cooking dinner. Everything went well except for mom's wonderful giblet gravy we all loved. I never could get it right. Mom came walking into the kitchen and I apologized and told her I couldn't make it. She looked at me and held up her finger as if to say, "Wait a minute." Then had me help her to the cupboard where she pointed out all the ingredients needed to make giblet gravy. To my amazement, and tears just streaming down my face, she made the gravy just like she always did! With my assistance while holding onto my side she carefully added everything and gave it a stir. It was perfect! The stroke may have robbed her of some memories and physical abilities, but that particular Thanksgiving her giblet gravy was the best ever! That will always be a cherished memory I will hold dear to my heart. My Favorite memory is a blooper my son had a couple of years ago he was about 11yrs old. He asked if he could help that year so I gave him the potatoes to peel and chop. Well, he now knows potatoe peels do NOT go down the garbage disposal especially when it's a HUGE bag of potatoes. The pipes ended up getting backed up so bad that water and peels were coming out the roof of the house. There was peels and water all the kitchen with the whole family there lol. It will be a Thanksgiving dinner my son will never forget.Till this day everytime he peels potatoes we all smirk and warn him to toss the peels in the trash. Yum! That sweet potato casserole looks great! Every year I have to make the mashed potatoes...a secret I learned from the Pioneer woman is that you add cream cheese! Sure its not very low calorie but its ok on Thanksgiving!! My family's favortie is my Sweet Potato Supreme which is very simular to your casserole. Every year there are a few must haves on the table along with extra dishes. The must haves are the turkey, cornbread dressing, sweet potato supreme, cranberry sause, and sweet tea. Thank you for the chance to win a turkey. I love sweet potatoes at Thanksgiving, but I'd never seen using crispy rice cereal... now I want to try it! Although my favorites are definately the Turkey and stuffing! Let's see....my favorite recipe has to be my grandfather's homemade dressing. Although he's no longer with us, he made up his own recipe and of course never wrote it down, so after a lot of trial and error my aunt finally got a very good copy of his. I can't wait for Thanksgiving dressing and of course Fried Turkey - YUMMY! I would love to win a turkey! Admittedly, sweet potatoes are not my favorite, but I have learned that if I roast them in the oven, I like them better. My favorite Thanksgiving dish comes after Thanksgiving: I do a Shepherd's Pie with the leftovers. It's awesome! So I wouldn’t say this is my favorite Thanksgiving memory, but it’s the one I remember the most. The first time that thanksgiving was going to be at my house was also the very first time I was going to cook a turkey. Actually I smoked it, but NEVER attempted to cook a turkey at all. I seasoned & wrapped that puppy up, got it in the smoker & checked it ever few hours all day and night. Unfortunately I never thought to look on the inside. I had not taken anything out of the cavity, paper bag & all was smoked. When I brought it inside & began to unwrap it, the most awful smell started spreading throughout the house. Needless to say Mr. Tom Turkey ended up outside in the garbage. Thank goodness I had made a ham & lots of sides. I do cook a turkey every year, but haven’t tried smoking another one since (& that was 12 years ago). Being French Canadian one of my favorite Thanksgiving dishes is Tarte au Sucre or Sugar Pie. It reminds me of Pecan pie, but without the nuts. Not for those who do not like sweets, LOL. We celebrate Thanksgiving last month, but my mother in law could sure use this coupon. THIS REMINDS ME OF OUR FAMILY THANKSGIVING DINNERS AROUND THE TABLE. MY DAUGHTER ALWAYS MADE A SWEET POTATO CASSELORE AND WE DEVOURED IT..
WHY DO WE ONLY MAKE THEM AT THANKSGIVING.. I COULD EAT ONE RIGHT NOW.. PLEASE ENTER ME IN YOUR BUTTERBALL GIVEAWAY. My favorite memories of Thanksgiving was when we would go to my grandfather's house. He would make the best turkey, cornbread stuffing and sweet potato pudding I've ever eaten. He would cook the turkey on a really high heat for a time in a covered roasting pan and then let it sit over night. It would cook itself from there to the point the meat was falling off the bone. None of us have his sweet potato pudding recipe but wish we did. I'm looking forward to trying this recipe and also a chance to win a turkey. 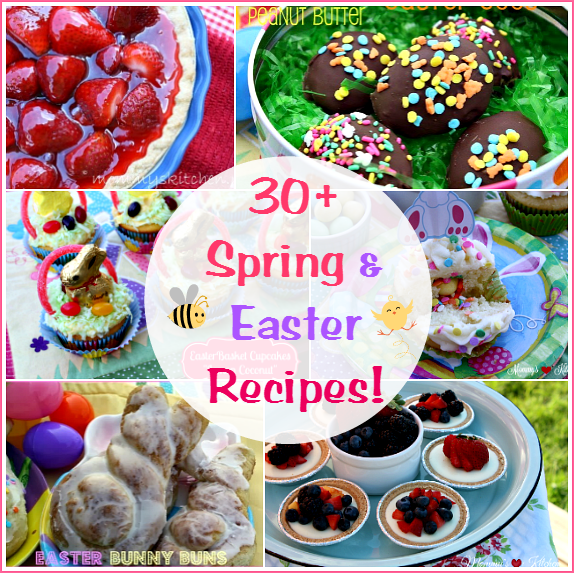 Thanks for posting so many great recipes that my family enjoys. I enjoy trying your recipes. what a great giveaway!! I don't have favorite recipe,but my favorite is the mashed potato and gravy, out of all the wonderful foods, i don't know whats wrong with me. My favorite Thanksgiving dish is my mother in law's dressing. It's sooo good. My mom always cooked her turkey upside down overnight at about 250 degrees - so juicy. Of course it was hard to sleep smelling that cooking turkey all night. Would love to win a turkey - please enter me! I love getting together on Thanksgiving with my family and friends. My grandmas broccoli salad is the best. Thanks for the great giveaway!! I remeber the first time that my sister and I tried to replicate grandma's pie crust recipe. My sister, who has doned herself as the "pie-making goddess" swore that she remembered it. Well, she didn't, and let's just say that they turned out disasterous! They were flaky alright, so much so that they wouldn't stay together. We ended up adding what must have been at least a cup of water, they were so dry. I ended up going on-line at the last minute to find one. Thanksgiving wouldn't be same for me without deviled eggs. My grandmother always made them for our feast! As an adult I've always lived far away from my family and about 5 years ago I moved to the same city that several of my Aunts & Uncles lived in & we started a tradition of having a family Thanksgiving dinner the Sunday before the actual day to allow everyone to celebrate with their other families the day of. My first year at the family dinner, I made deviled eggs. My Each of my Uncles came up to me to thank me for such a perfect treat, as their mother (my grandmother) passed away the year before & that year no one made deviled eggs and no one had thought about them for that year either, until I came. It was a beautiful Thanksgiving & I feel like by including them in our meal somehow it makes her closer to us! My Mom makes sweet potato casserole but I've never seen it made with rice krispie cereal. I always just pull the topping off and nibble on it, don't care much for sweet potatoes. My favorite Thanksgiving dish is my mom's fruit salad...canned fruit salad, drained, cherries, grapes, sour cream, coconut and walnuts. All mixed together. Yum! I have more of a Thanksgiving Nightmare. Still makes me laugh when I think about it! And it only happened 2 years ago. My family is from Mexico, where they don't celebrate Thanksgiving. So imagine my surprise the first time that I went to my now husband family Thanksgiving dinner. I had never seen so much food at once. Before then I had never even ate Turkey before. Let not forget about all the different desert they had. I will never forget that day. Grind 1 pkg cranberries, 2 peeled oranges and 2 peeled apples. Add 4 C hot water to 3 boxes Jello (2 cherry,1 lemon)or (3 cranberry, raspberry or strawberry) Add 1 1/2 C sugar. Mix all together with 1 lg can crushed pineapple (drained)and 1 cup chopped walnuts. Pour into mold or pretty clear bowl and chill. But just as I was about to put the Stuffing in the oven, I dropped the bowl, shattering the glass dish and sending stuffing all over the kitchen. I think I actually cried. My husband sent me back to the store, and after finding one that was open, I made a second batch. We still talk about that Thanksgiving and how we like our "Stuffing, hold the glass shards"
Everything is my favorite! But, if I have to choose I will say Cornbread Dressing.It started as my mother's recipe and I have made it my own. 1 chicken slowly poached with onion, garlic, carrot, celery, and peppercorns. Drain vegetables and reserve stock. Debone chicken and set aside. Saute 1 large onion, bell pepper, celery, and bunch of green onions. Add to 2 corn breads that have been crumbled. Add chicken, 1 cup of cream, and 6 eggs that have been beaten till frothy (this will make it souffle like). Add enough of the reserved stock that will make it quite wet and finally add sage..fresh or dried. bake in a 350 oven in a roasting pan or large casserole dish for an hour or until the consistency you prefer. Yum, a free turkey! I have to say my favorite part of t-day dinner is the stuffing and pies! I love stuffing. My dad always made it though, and i really have no idea how to make this favorite side dish myself (not counting the boxed stuff)! Sad, I know. I love Thanksgiving dinner PERIOD! I truly enjoy everything from the turkey to the mashed potatoes to the brussel sprouts to dessert! My Auntie make the BEST brown gravy in the world - I could practically drink it! She uses the pan drippings with something called Gravy Magic - but I swear she uses a "secret" ingredient she's not telling me because my gravy is not the same as hers!! Free Butterball Turkey - YUMMM!!! I love making my green beans....take fresh gren beans and cook.them then let them simmer with a handful or two of dried cranberries.....very very good and different! I am so excited to get this recipe; I had misplaced mine. My biggest blooper: first Thanksgiving as a bride, was going to cook my first turkey and we invited a young lady to eat who had no where to go. My oven went out, couldn't get into a neighbors house. Gave the turkey away and fried a chicken in an electric skillet. Problem is I didn't know how to fry. Ugh, it was bad. We still laugh. Not a big fan of sweet potatoes, but I do love green bean casserole! & of course spending time with family! I LOVE sweet potato casserole also and wait for it every year!! My favorite Thanksgiving recipe is my mom's cranberry salad but alas - we didn't write it down so we lost it when she passed away. Let that be a lesson to write them down! I made it with her every year & I was sure I knew it by heart until I tried to make it without her. She loved Thanksgiving turkey & I can still make one as well as she could. I hope I win! Last year I cooked thanksgiving dinner by myself for the first time... except I chickened out about cooking a turkey and we just bought a turkey instead. So winning a turkey this year would be awesome. I Love your blog! Thank you for this oppportunity. Everyday with Granny's cooking was like a holiday.Holidays were EVEN MORE special. It's really hard to pick one special food for Thanksgiving. 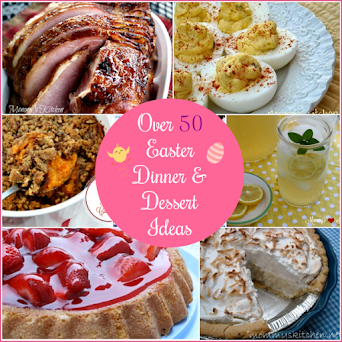 I love it all--turkey, stuffing, mashed potatoes & gravy, deviled eggs, candied sweet potatoes, corn pudding, etc and of course all the deserts, yummy! Thanks for the sweet potato casserole as I've got to try it next. Thanks for the chance to win a Butterball, they are the best! Last year was my boyfriend and my's first thanksgiving living together. we didnt have any plans for that day and family was out of town so we got Ryan's buffet and eat at home. The food wasnt great but we had a good time just talking and spending time together. I not only would love to win a turkey, but without winnig one, there will be no turkey at our house. Dad pays all the bills and says turkey is ok, but if he has to buy it, it had better say mooooo. Our entire family insists on a brocolli and cheese casserole. My youngest brother says if it isn't here, he might as well find someplace to go that has it. My favorite recipe is my creamed corn, but I just can't share that one yet! Another favorite is Watergate Salad...and there are lots of recipes online for it - pistacio pudding, Cool Whip, pineapple....YUM!!! This is an awesome giveaway. Thanks for the chance! Your sweet potato casserole sounds divine. I'll have to give it a try since it is one of my favorite dishes during the holiday season. I love Sweet Potato Casserole (and everything else about Thanksgiving)!! Thank you for the turkey giveaway! I have to agree with all of you who enjoy ALL the Thanksgiving favorites. The only problem is that it's way too much food for just one meal! We always roast our turkey upside down, too. The back is where the most fat is and when it's on top during roasting it bastes the dryer breast meat. Our bird always turns out wonderfully juicy and delicious. We flip it over for the last 30 minutes or so to make sure the breast browns nicely. Try it - it sounds odd but it works GREAT! For over 30 years I have made cranberry relish every year. Usually I make several batches starting before Thanksgiving and going right through Christmas. Not only does it go well with turkey and the trimmings but it is fantastic with chicken or ham. In a pinch it really dresses up a balogna sandwich! Check the cranberries for uglies, etc. Rinse them and drain. Cut the orange in pieces about 1/2 to 1 inch size - including peel, white part and all but remove any seeds. Process the orange segments and berries until they are chopped well. I've used a blender to do this but be careful not to puree them. Combine chopped fruit, sugar and cinnamon stick in a saucepan and, stirring frequently, heat JUST to boiling. Do not let it really boil; you just want it to heat through and melt the sugar. Don't wander off - it only takes a few minutes but is not so good if overcooked. If you watch closely you will notice a slight change in color - it brightens to a really jewel red when it's done. Chill the relish in a covered container and serve cold with just about anything. My favorite Thanksgiving dish is my mom's cornbread dressing. She always makes a lot so we can eat the leftovers for several days after. I just love it! Thanks for the giveaway! I love your blog! I spend Thanksgiving Day at my grandma's house, so I enjoy all of her cooking. However, my momma's pumpkin pie is marvelous. She won't share the recipe with me cause she says it's "top secret" but I definitely snag a slice of her pumpkin pie whenever she makes it! 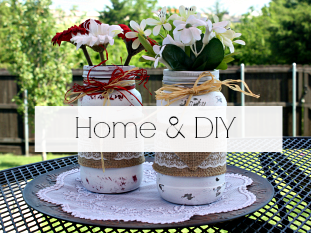 I've been reading your blog for quite a while now, so I figured it was about time I posted. 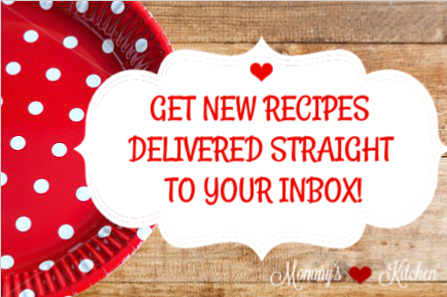 Your recipes are marvelous! Like so many others have said, I love everything about our Thanksgiving table. The one thing I love the most is ... my Mom, who went to be with Jesus 12 years ago. Mom was the glue that held my extended family together (aunts, uncles, cousings, etc..) and we didn't realize how much until the year after she died. Now, my extended family never gets together for any holiday anymore, which is sad. BUT ... 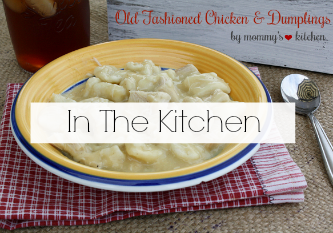 I try with my own family to recreate many of the favorite dishes of my childhood. We alternate spending the day with hubby's family and with inviting friends over to our place. Must haves include cornbread stuffing (yellow corn bread, crumbled .. onions, celery, chicken stock, salt, pepper, lots and lots and lots of sage ... baked til hot and a tad crispy on top) and the traditional Campbell's green bean casserole. Other dishes we only have on Thanksgiving include Pistachio salad and pecan pie and pumpkin pie! Mmmmmmmm!!!!!!!!! Heat the half-and-half, pumpkin, brown sugar, salt, cinnamon, and nutmeg in a heat-proof bowl set over a pan of simmering water until hot, about 5 minutes. Whisk the egg yolks in another bowl, stir some of the hot pumpkin into the egg yolks to heat them, then pour the egg-pumpkin mixture back into the double boiler and stir well. Heat the mixture over the simmering water for another 4 to 5 minutes, until it begins to thicken, stirring constantly. You don't want the eggs to scramble. Remove from the heat. Dissolve the gelatin in 1/2 cup cold water. Add the dissolved gelatin, banana, and orange zest to the pumpkin mixture and mix well. Set aside to cool. I would love to win a Butterball turkey!!!! I always buy the cheapest brand I can find just to save money. I hear they are the best!!. I usually fix the traditional Thanksgiving dinner. 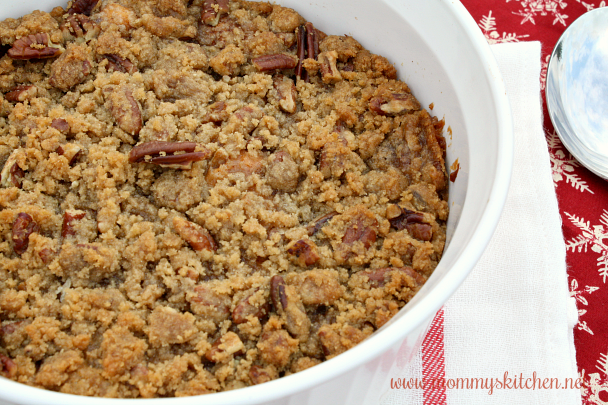 I love Sweet Potato Casserole and this recipe sounds similar to one I make! I am also excited you have the Amish Bread starter recipe! Winning a turkey would just be a plus! Thanks for a great site! My Family's favorite is Sweet Potato Casserole, they always request that I make it for Thanks Giving. I usually make 2 pans to make sure there's enough leftovers for everyone. Thanks for the give away! I would love to be entered into the Butterball turkey giveaway. One Thanksgiving, I took my cornbread dressing cooked in a large glass Pyrex dish out of the oven and set it on the front burner of my cooktop. A few minutes later, it all exploded sending dressing and glass shards all over my kitchen! I turned on the back burner to cook the giblet gravy but actually turned the front burner on instead. Long story short, one huge mess to clean up. Taught me to be more careful. I just found your blog about a week ago and I just finished going through every one of your postings and making notes of all the recipes I want to try! 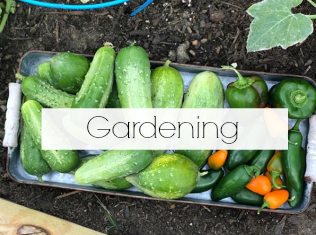 You have an amazing blog and I'm having so much fun with it, so thank you for providing a wonderful source of recipes! My favorite is cornbread dressing with lots of sage. About the turkey...my husband recently watched a program that showed how Butterball turkeys are produced. Afterwards he told me to ALWAYS buy Butterball. They go to extraordinary lengths to insure their product is the very best. I can recall as a kid, my aunt hosting Thanksgiving, and her oven stopped working. She brough tthe turkey over to ourhouse to finish cooking -- good thing we lived close! I love Thanksgiving. I have so many memories of holidays at my grandmother, but Thanksgiving always stays close to my heart. She is no longer with us, and now our family has drifted apart. So, I am trying to start new memories. Turkey and dressing always tops my menu, but my side has to be scalloped potatoes. Dessert - pecan pie!! Thanks for the giveaway, and my favorite veg. is sweet potatoes, I will have to try the recipe, it looks good. We always have a big extended family get-together for Thanksgiving... aunts, uncles, cousins, etc. They always expect me to bring this dish. One cousin says you have to eat it this way: "You take a bite of ham, then you take a bite of pineapple casserole. Then, you take another bite of ham..." It's very sweet, almost like a dessert. But, we serve it as a side dish with ham. Toss bread cubes with drained pineapple. Place in baking dish. Mix other ingredients and pour over bread mixture. Bake at 350 degrees for 30-35 minutes. *I use a Corning Ware casserole dish—about 10 inches square. I love free turkeys! I used to work for UPS and they gave us a turkey every year as a Christmas present. My favorite Thanksgiving recipe is my Grandma's creamy spinach dish. I made it for the first time last year and was surprised to find Kraft Singles in it! Thanks for the giveaway! Line a pie plate with unbaked pie crust, homemade or ready made. Sprinkle 1/3 C chopped pecans over crust. Return to oven and bake till golden brown, Remove from oven and cool completely. In large bowl 1 gallon good vanilla ice cream, softened but not melted. This is so good, it won me a grand prize a few years ago in a local cookbook contest. Please enter me in your Butterball contest. I always insist on a butterball turkey for Thanksgiving. I love sweet potatoes. That recipe looks delishh. I can't wait till Thanksgiving. We are looking to grill a turkey. Tried it last year and it was the absolute best and moistest I ever had. But the turkey is not my favorite, it's all about the stuffing. I like the traditional cornbread baked with a small chicken in the middle. Crossing my fingers and good luck to all! My favorite memory from Thanksgiving is my maw-maw's Angel Rolls! They are little white yeast rolls that taste heavenly! I really miss maw-maw. My mom and I are going to try and recreate them this year. My job for Thanksgiving is the turkey, since it is my favorite! I would love to win a Butterball and impress everyone with my new turkey skills! Butterball Turkey is the best! I have tried other brands but they don't stand a chance against the Butterball Turkeys. I love Sweet Potato Casserole. I usually make a small amount since no one else in my family likes it. Hi I just found your blog and I'm really enjoying it. I can't wait to read some of your past posts. I have a story that makes me smile when I think of Thanksgiving and Turkey. I am the youngest of 10 children. Since forever, we have always had a big family style Thanksgiving with all of my siblings and their families. It usually consisted of 50+ people. We almost always had it at my house since hubby and I had the biggest one in the family and could accomodate everyone. I always made the turkey so no one had to try and transport such a big bird across town. When my daddy died, we stopped getting together and just started having dinner with our own families. The first Thanksgiving that we didn't get together, my telephone was ringing off the hook. I felt like the Butteball Hotline and Betty Crocker both. I bet everyone of my sisters called me atleast once that day for a particular recipe or for instructions on how long to cook their turkey. Over the years, the phone doesn't ring as much. I guess they have figured it out for themselves. My favorite Thanksgiving memory is the year we had roasted dishrag for dinner. After we (my daughter & I) got the turkey in the oven we started cleaning up. I searched high and low for my dishrag. I finally got out a clean one. Later when I lifted the turkey out of the pan, there was my dishrag! I had set the turkey on top of it before putting it in the oven. My daughter told me I couldn't say a word about this or my son-in-law wouldn't eat a bite. My FIL decided not to deep fry a turkey, maybe if I win one it will change his mind. Traditional Cdn Thanksgiving included perogies, cabbage rolls and ham. On Thanksgiving it seems like this is the only day were you eat all day. But I thought I would share with you something "SWEET"
1. Place corn syrup and sugar into saucepan. Cook over medium heat, stirring frequently, until sugar dissolves and mixture begins to boil. Remove from heat. Stir in Peanut Butter. Mix Well. Add Rice Krispies. Stir until well coated. Press mixture into pan coated with cooking spray. Set aside. 2. Melt Chocolate and butterscotch chips together in saucepan over low heat, stirring constantly. Spread evenly over cereal mixture. Let stand until firm. Cut into 2x1-inch bars when cool. I have a lot of Favorites!! But this year I'm going to try and make Mango Pie... I love your site and your great recipes!! I follow your BLOG! Now. THANKS! On my Mother's side we have a very large family. My Grandmother is 92 and makes the best dressing. For the last 2 years I have been able to help her and my aunts make dressing for our Thanksgiving feast and learn how to make it because you know its nothing that is measured. We make a huge amount and it is so much fun! My favorite Thanksgiving dish is....how can I pick just one I love all Thanksgiving food and the leftovers YUM!!! But if I have to pick one it would be my grandma's stuffing recipe which I think was how her mother made it. It is great and uses sausage and sage. The smell of it alone brings back lots of great memories of past Thanksgiving. Hello! I started to stop by and tell you how much my husband loved your Hummingbird cake, but then I saw this and stopped. Because it's like the best of all that is Thanksgiving. It's like sweet potatoe pie and pecan pie all in one, without the crust! Which means, now I am going to try and make one with a crust. Anyway, Anyway, bloopers...I've had many, like the one where I cooked the neck in the turkey, or the time I pulled out the most beautiful turkey ever to have my mother's dog mob me and steal it yipping all the way from pain..yet kept on eating...BUT the one that touches my heart the most is the year when I was eight and I begged my dad to take me home so my mom wasn't alone for Thanksgiving. I found her crying in the kitchen because she had somehow 'tomained' (Her word) the turkey..and then she saw me and wiped them away. "Wanna have hotdogs and watch the parades?" It was the best Thanksgiving ever and I will never forget it! i love making sweet potatoes. i just put a couple in the oven and cook for an hour. then i mash them and add some cinnamon, nutmeg, ginger and 2 tbs. cream cheese or a 4 oz. tub of yogurt. so yummy. After my children were born, I wanted to learn to make Thanksgiving Dinner so that I could pass the recipes on to my daughter. Now, twelve years later, my daughter and I make the dinner together. I think we all like the cornbread dressing best. My kids also have always liked that I serve yellow, orange, and red Jello cubes. It's the only time of year we have Jello with a meal, and the fall colors look pretty in glass parfait dishes. We also have a special Thanksgiving punch. And every year I tell my daughter to be sure and marry a man who will take the "insides" out of the turkey before she cooks it -- like her wonderful father always does for me! One year I had to make the Turkey because my mom had to work. I had never made turkey before so I called her up and asked her what to do. She said to take the packet out of the cavity....well, i hesitantly reached in and couldn't find it so I thought "oh it doesn't have one." Needless to say when my mom came home and pulled the turkey out half of the turkey had been burnt out. Luckily there was still enough left for the dinner. The best dish I have had at Thanksgiving is a potato casserole my sister in law makes. It is shredded hash browns with french fried onions, cheddar cheese soup, and more cheese on top. so good. I have to say my favorite dish is green bean casserole using cream of mushroom soup and Frech's onion rings. The funny thing is I never use cream of mushroom soup except for making this dish! I am very blessed to have a great family that all jumps in and helps me make Thanksgiving dinner every year. I make the Turkey (deep fry) and other members of the family bring side dishes and desserts. So I do not have a recpe to share but I do have a great story. When I was about 12 or 13 my parents desided to take my sister and I out to Las Vegas to celebrate Thanksgiving with my grandparents. Two days before Thanksgiving my grandmother, mom and myself spent all day in the kitchen cooking pecan, pumpkin, and apple pies. The next day we all had decided to make a trip to the strip to walk around. My grandfather decided he didn't want to join us. 3-4 hour later we came home and noticed grandpa sleeping on the couch, my grandma went into the kitchen to find that he had eatten all 5 of the pies that we had made the day before. So we had a Thanksgiving with store bought desserts. Hi Tina! What a fun giveaway! Being from the north, Scandanavian foods garnish our holiday tables. I would say my favorite Thanksgiving dish would be Corn Noodle Casserole and Chunk 'o Cheese Bread. YUM!! We always use alot of gravy so I normally double this recipe if I am going to have family over. 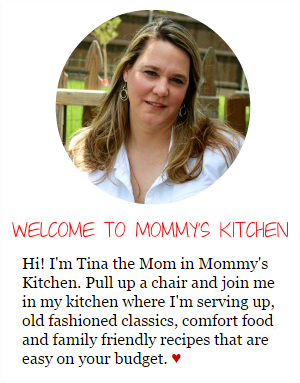 Hi Tina, I really enjoy your site, so glad I stumbled upon it. My favorite Thanksgiving recipe is actually green bean casserole with a slight twist. Years ago I decided to make the well known green bean casserole recipe for my family Thanksgiving and searched thru every magazine I had at the time hoping to come across the recipe, that was pre internet days. I had seen it many times in most every magazine but somehow could not find a single recipe so I decided to wing it. I remembered most of the recipe using the french cut green beans and mushroom soup and the french fried onions on top. But something seemed to be missing so I added to the large can of mushroom soup 1/3 cup of mayo and mixed in a whole can of the french's onions then folded the 6 cans of drained french cut green beans and added more of the french's onions on top and baked it for 30 to 40 min. in a 350 % oven until bubbely and hot. Ever since that long ago Thanksgiving day back when my three children were still children I have never been able to correct the mistake that I had made, or my family will protest. So that recipe blunder so many years ago have become a family tradition to this day. Thank goodness I was not able to locate the recipe at that time. Wishing your family a warm and heartfelt holiday season from the Starr family. OK one memory that I have was when I was about 15 or 16 years old. I started to enjoy baking and wanted to make a cake for a holiday I think it was Easter. Well I started mixing everything and put it in a cake pan. I put the cake in the oven. About 10 minutes later the fire alarm starts to go off. I wasn't thinking that it would be the cake because the alarm would go off all the time. But checked the oven anyway. My cake was on FIRE. Well instead of putting the stove on I put the broil on and my cake was black. My father came to the kitchen and was so shocked didn't know weather to laugh or yell at me. Now my father makes sure that he tells my children to keep me away from the oven. I think I am going to try this sweet potato casserole to bring to my parents. I tried this version of sweet potato casserole, and it was a success! I've always made this dish for Thanksgiving, and its my family's favorite, but I've never made it with rice crisps before. Thanks for yet another great recipe! I was wondering could you give me any suggestions on swapping the rice crispies for something else. Sorry comments get buried sometimes. To answer your ? just omit the rice crispies and add flour. Here is a good ration on measurements. I would LOVE to win a turkey!!! I absolutly love Thanksgiving. All the baking , the smells, the gathering of family and of course the turkey. Our favorite is the brine method!! Thanks for the delicious sweet potato recipe. I love your site and visit it at least 5-6 days a week!! Thanks for all you do to spice up our menu! Thank you for the opportunity to share my thoughts on Thanksgiving and the positive memories of this holiday in my family. During the Holidays, my family has for over 25 years shared our Thanksgiving with my sisters, their husbands and the children and other family friends who may not have a specific place to spend their Thanksgiving. We always start with a group prayer with everyone holding hands and giving "THANKS" for this day and the persons who prepared the meal plus others around the world. children when we do this. They get dressed up and look so nice. Children. It is so very special.